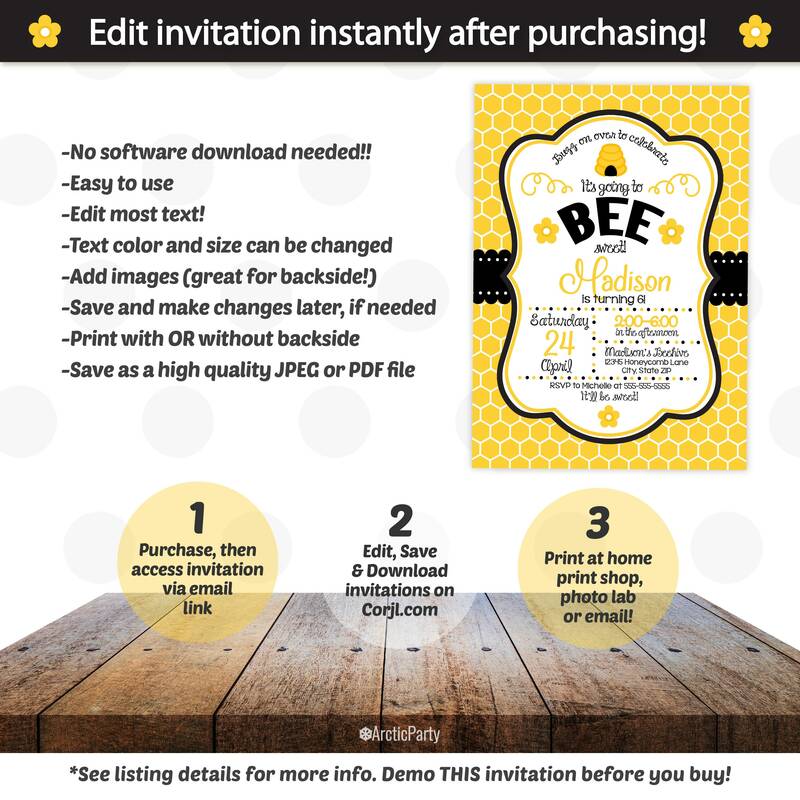 Bumble Bee Birthday Invitations - Bumble Bee Party Supplies - Bee Party - Bee Themed Party - Printable Bee - INSTANT ACCESS - Edit Now! 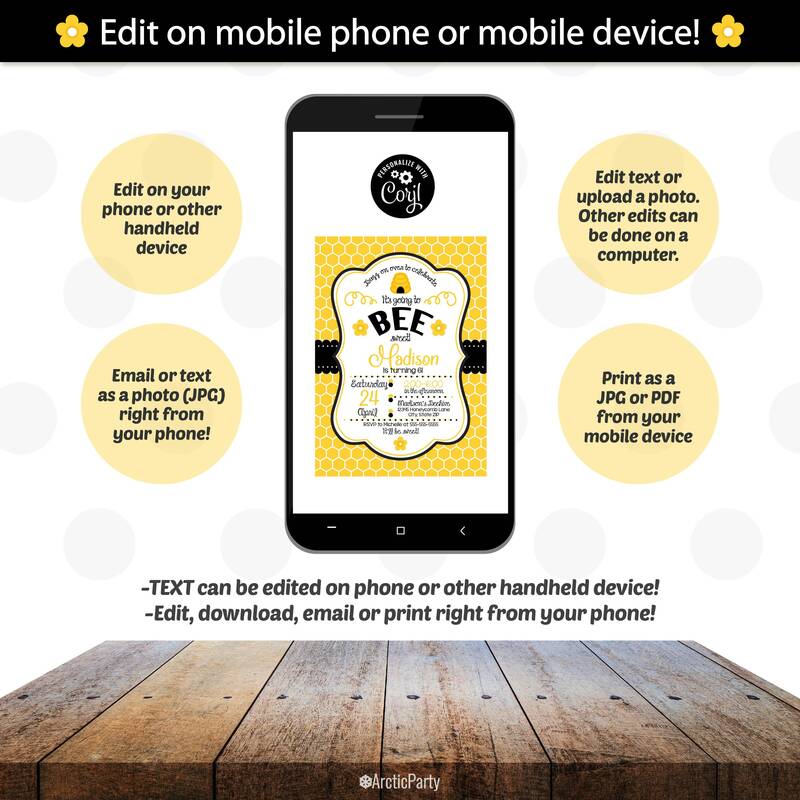 Bumble Bee Birthday Invitations Template! Includes backside. No waiting! Edit NOW from home using Corjl.com. 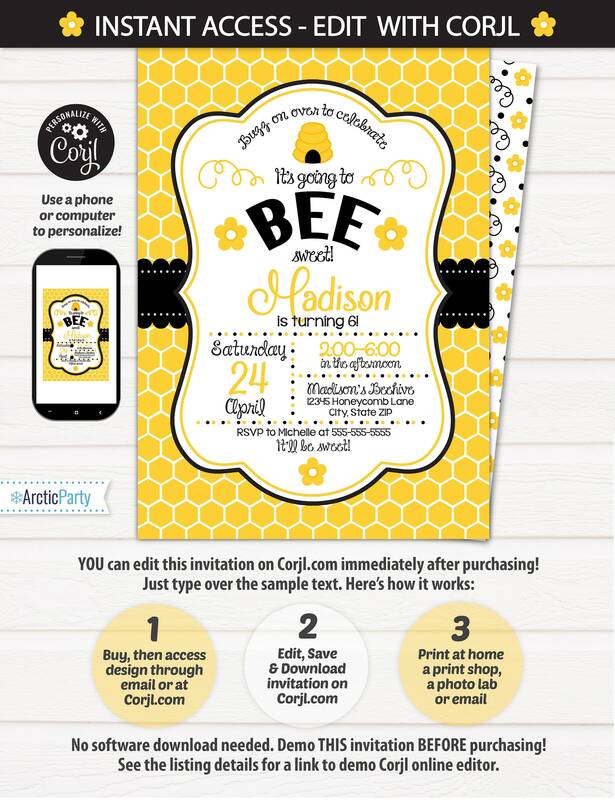 Invitations are 5x7 and 4x6 and can be printed as a photo at a photo lab, like Walmart, Walgreens, Costco, etc. 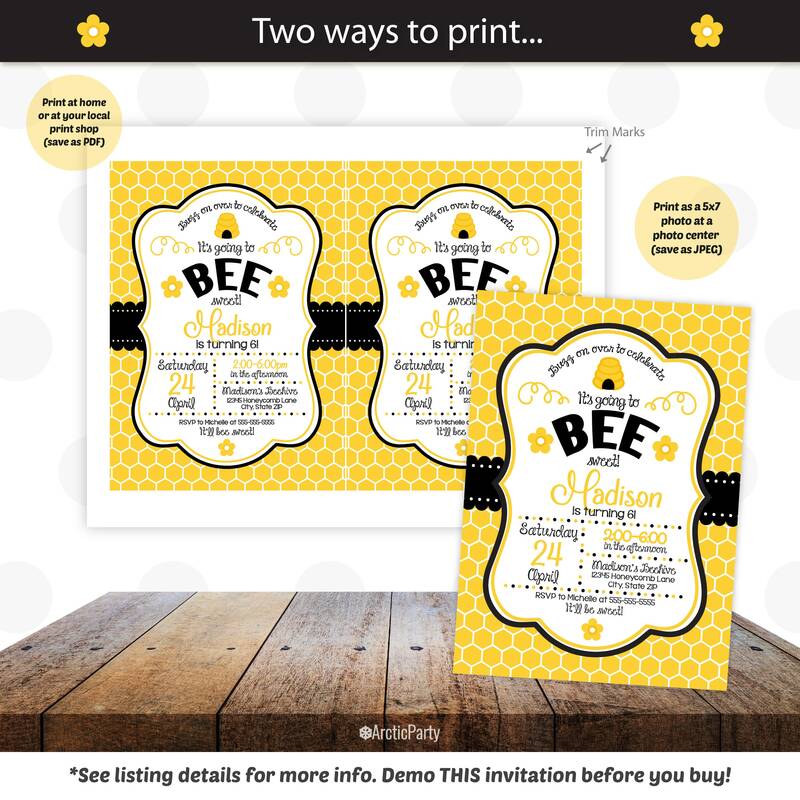 (save as a .JPG) Your invitations can also be printed onto white card stock from home or a print shop, like Staples, Office Depot or FedexOffice (save as a .PDF - can print 2 per page). If you want to email or post your invitations, save the file as a JPG.